Has your coffee slightly changed in taste (with no change in grounds) or does it leave an odd aftertaste? Then your coffee maker might be brewing more than just coffee! If you don’t regularly clean your coffee maker (including stove tops) it can contain mold and other bacteria. After all, moist and wet environments are highly conducive for yeast growth. A study by NSF International found that 50 percent of households had yeast and mold in the reservoir of their coffee maker. Sounds disgusting, right? But you can easily prevent this from happening. All you have to do is remember to clean your coffee maker regularly (known as descaling). Once every month (more often if you use it very frequently) in hard water areas and two to three times per month in soft water areas. To make sure that your cup of Joe doesn’t make you sick, here are some of the common cleaning methods that will help you clean your coffee maker easily. Just remember to clean it regularly to enjoy better tasting, germ-free coffee! Baking soda is an essential household item and something that you might have in your kitchen right now. Baking soda works wonders in removing coffee stains and bad odor. Cleaning your coffee machine with baking soda is easy and takes little time. All you have to do is run a solution of baking soda and water (preferably warm) through the coffee maker just like you do when you brew coffee. Mix a quarter of baking soda in warm water until it dissolves in the container. Then turn the machine on and let it run through. Once done, wash the coffee pot with clean water. Now, fill the container with clean water and run it through the brewing process again. Repeat this until the “brewed water” comes out crystal clear. Yes, these tablets which you use to deal with your upset stomach can also be used to clean your dirty coffee maker. Alka Seltzer tablets are cleaning geniuses used for cleaning a variety of things in the house. Don’t believe me, check out these Alka Seltzer cleaning hacks. Fill the coffee maker with ten ounces of water and drop 3-4 Alka Seltzer Tablets in it. Brew it for a while which will clean all the hard to reach places. After this, run two-three cycles with normal water to eliminate the remains of Alka Seltzer from the coffee maker completely. Vinegar and water are the most commonly used mixtures to clean and descale coffee machines. Vinegar is excellent for “decalcifying” or removing the mineral buildup from tap water. Mix one cup of vinegar and one cup of distilled water to create a cleaning solution. Let this solution sit in the water tank for a few minutes (30 minutes would be ideal). Now, turn on the machine and brew it just like you brew a coffee. You can also add salt to this and swirl the mixture around to clean out stubborn stains. After discarding the dirty solution, fill the pot with clear water and brew again. If you have run out of white vinegar, you can use apple cider vinegar which is just as effective. Fill your coffee maker with two parts water and one part apple cider vinegar and start brewing it. Pause the brewing halfway through (if you can) and let it stay at the bottom for a few minutes. After the brewing is complete, discard the mixture and fill your coffee maker with water and run it again. This method will be a little more costly as compared to using white vinegar. Note: Using Vinegar or Apple Cider Vinegar is the safest method to clean your coffee machine as it’s not harmful in case you ingest any remaining residue. Lime juice is the first item that comes to mind which can instantly replace the acidity of the vinegar. If the smell of vinegar bothers you, lemon can be the ideal alternative. Fill your coffee maker with one-thirds lemon and two-thirds water and run a brew cycle just like you’d do with vinegar. You can also brew a pot of coffee after you’re done instead of clean water, and try a Portuguese style coffee (they add lemon rinds in their espressos)! If you just want a quick fix, then there are a number of good quality descalers in the market. Some of the tried and trusted ones which we recommend- Essential Values Universal Descaler, De’Longhi EcoDeCalk Natural Descaler (all natural! ), and Durgol 0296 Universal Multipurpose Descaler/Decalcifier. Wash your coffee maker after each use and descale it once every month (or more depending on how often you use it) to prevent the growth of mold and bacteria. And there are a few things given below which you can do to ensure a long life for your coffee maker and happier mornings for you. Dusting your coffee maker regularly, or using canned air to spray the outsides and insides of your coffee maker can go a long way. Keep a lookout for cracks or frayed wires and repair or replace them as soon as you can. Clean up the coffee pot and remove the used grounds and filter after each use. Empty your carafe regularly to avoid stains and a grimy layer. Mildew can easily grow in moist areas. So make sure to wipe your coffee maker after each use and leave the top open allowing air to get into the chamber. All damages can’t be fixed and sometimes mold growth can be too extensive for vinegar to get. It’s best to replace your coffee maker every couple of years to avoid any serious illnesses. 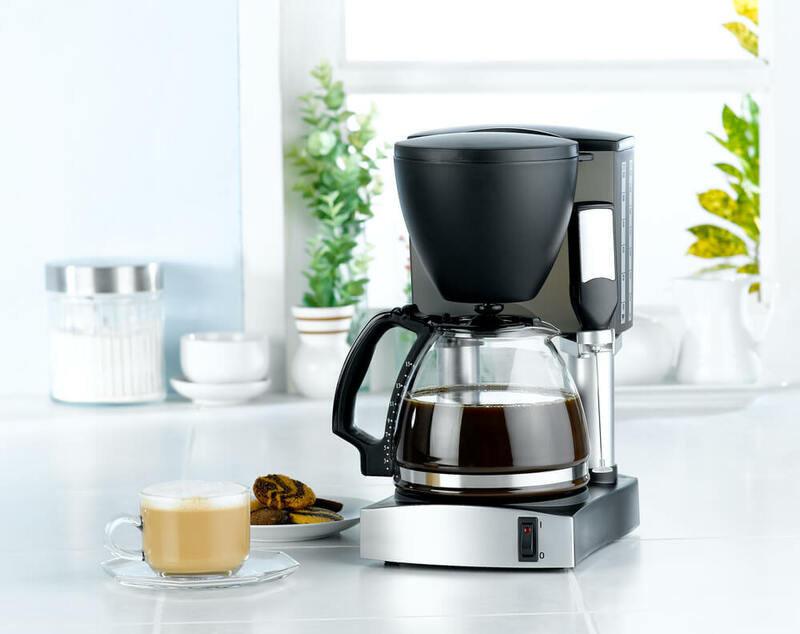 Just taking a little time out to clean your coffee maker regularly is all it takes to maintain a coffee maker and improve the quality of your coffee. Do you have any tips to clean coffee maker effectively? Share with us in the comments below!